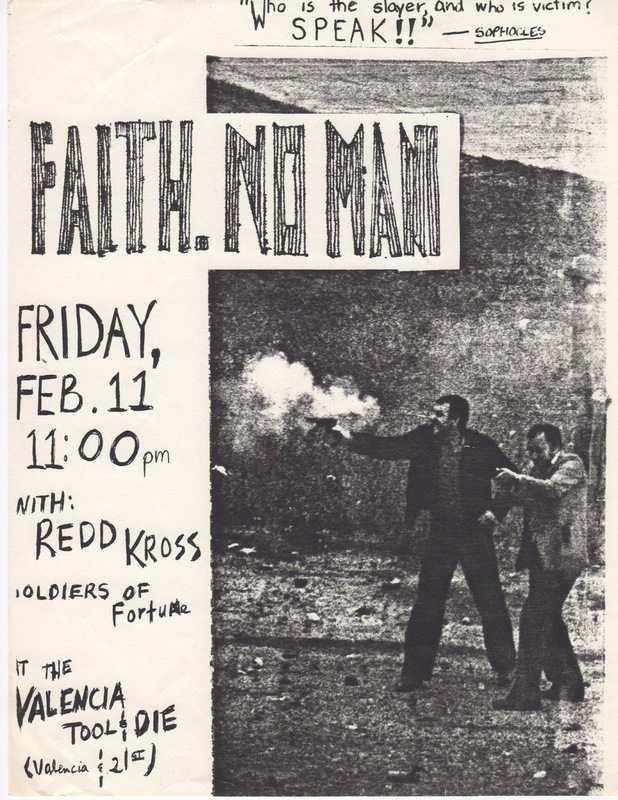 On this day 33 years ago the band that would become Faith No More played a show at Valencia Tool + Die in San Francisco. The band at this time were Bill Gould on bass, Mike Bordin on drums, Wade Worthington on keys, Mike 'The Man' Morris on guitar and vocals. The wonderful thing about this show is that we can watch the full set, and hear the familiar FNM sound in a very primitive form. 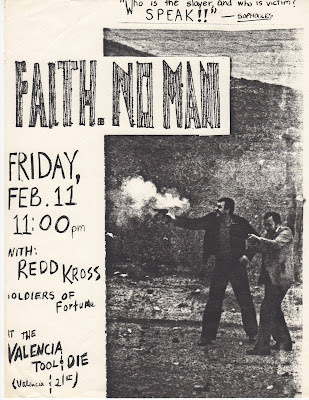 To find out much more about the band as they were in 1983 check out Faith. No Man. SMITHSONIAN WANTS YOUR FAITH NO MORE PHOTOS! FAITH NO MORE | 22.02.1992 | Kerrang! FAITH NO MORE | 20.02.1993 | Kerrang! FAITH NO MORE | 10.02.1990 | Kerrang! FAITH NO MORE | 04.02.1995 | Kerrang!